Red2120's Club Penguin Cheats, Secrets, And Give Aways! 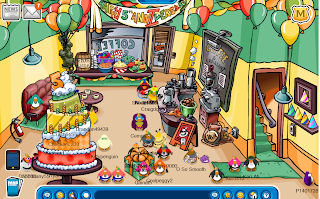 : Club Penguin 5th Anniversary Party! Club Penguin 5th Anniversary Party! Hey everyone! 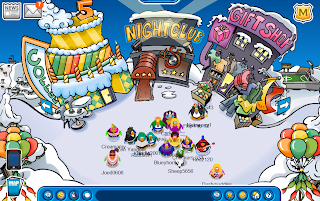 The Club Penguin 5th Anniversary Party is here! Heres all the cheats and secrets to the party! I will also include my Review. 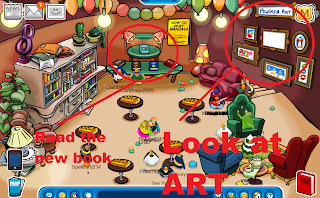 The party takes place in the Town,Coffee shop, And the book room. Heres Pictures of the rooms. 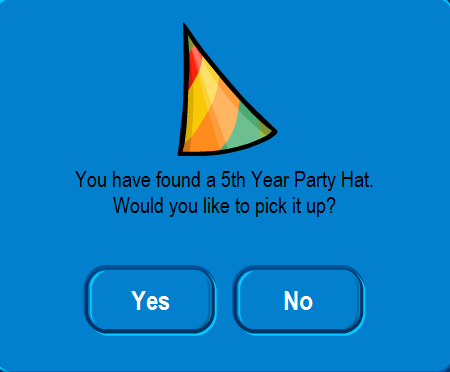 Not just a new book and party hat came to the party! A New stamp also came! 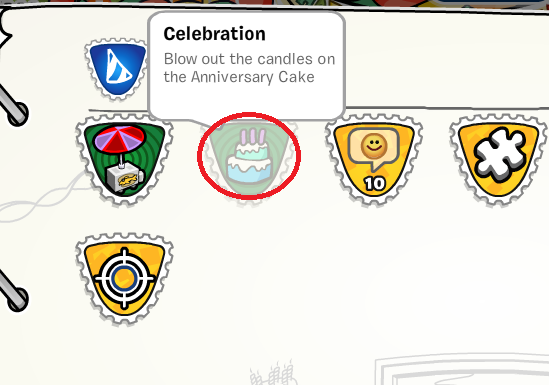 I circled the Cake! 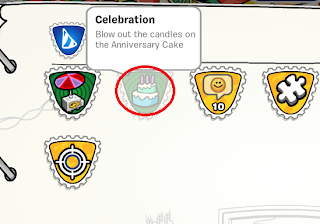 You need to blow the candles out on the Cake to get the stamp! 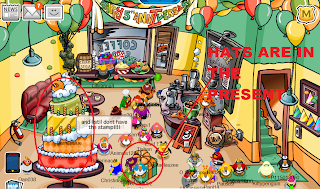 To get the hat, Open the present and waddle over to the open present box. Check this out above this paragraph! 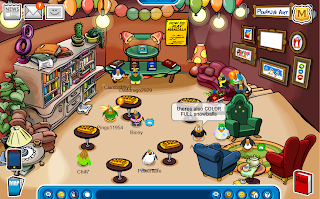 Its a picture of the coffee shop! I circled the Art work you can look at pictures fans of Club Penguin drew. I also circled the new year book! CHECK OUT THE NEW HAT! 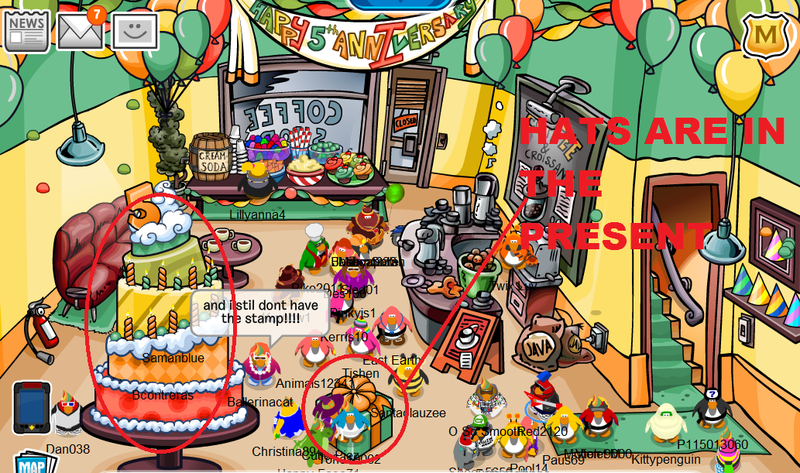 I sorta like the hat colors! I wish it was Red and black! I think that would look pretty awesome. If this didnt help enough I made a video showing you more about the party! Check it out below! I gave it a 3 because the partys only for 1 day, plus the party hat is too hidden and confusing for little ones. Plus its not all that big. But it is a pretty fun party. Which is why I gave it a 3 out of 5!